If a picture is worth a thousand words, how many words is a video worth? We soon might find out as video reviews are coming to Yelp. This should help reviewers better capture the atmosphere of a certain restaurant, when words alone can't convey the message. In the early days of June, "elite users" of the app will be allowed to upload 3 to 12 second videos, before Yelp rolls out the feature to everyone. Even if you can't record a video right away (a polite way to say that you're not an "elite user"), you can still view any of the videos made by others. Mobile is a major part of Yelp's game plan. The latest stats show that 70% of Yelp's daily number of uploaded pictures, come from a mobile device. That works out to about 23,000 pictures uploaded daily. Offering video should help raise Yelp's mobile usage to an even higher percentage. 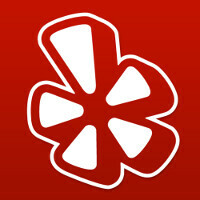 Once the video feature is added to Yelp, users writing and posting a review will be prompted to add a video. You will have 12 seconds to record the video and a green circle on bottom will keep track of how much time you have left. Select a cover picture and a caption, and you're done. Over time, as more people post a video, the more useful ones will be on top. Sounds like a clever and useful way to enhance a review. Will you be adding video to your Yelp reviews?